To view any of these videos, simply click on an image or link below. 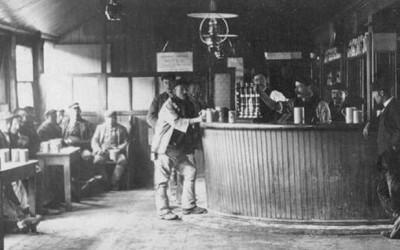 They all include excerpts from a unique cine film taken in 1932 which is now owned by the North West Film Archive. 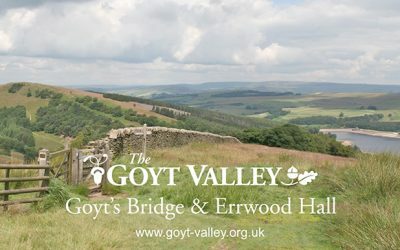 I’m planning to complete more videos in a similar style to the most recent film of Goyt’s Bridge and Errwood Hall. But they do take quite a while to create. And they also take quite a toll on my fast-declining brain cells! It’s taken a while, but I’ve finally managed to complete a short, 12 minute video showing how the twin reservoirs completely changed the landscape of this part of the Goyt Valley. 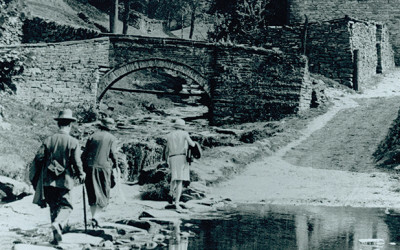 A shorter version of the 1932 cine film of Goyt’s Bridge set to music, showing views around the stepping stones and packhorse bridge, with glimpses of Gatehouse Cottage. This 1932 film records the inauguration ceremony for the construction of Fernilee Reservoir, with Stockport Corporation big-wigs standing apart from the navvies. This silent film was one of two taken in 1932, during the construction of Fernilee Reservoir. 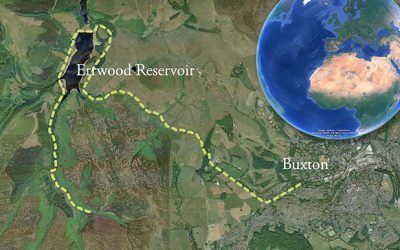 It features the hamlet of Goyt’s Bridge, which now lies submerged beneath Errwood Reservoir.